Just about two years ago, Games Workshop turned the gaming world on its head with the 6th edition release of Warhammer 40k; the world's most popular miniature wargame. What followed was a rapid release of new army codexes, digital content, supplements, and beautiful new models for every army. Of course, with such a flurry of releases also comes conflict, unbalanced units (or armies!) and players that reel to try to keep up. So what's a game company to do? In this case, release an updated edition of the game, to consolidate rules and streamline conflicts where they've cropped up. To be fair, I believe 6th Edition 40k is the finest edition we've seen since I first played the game twenty years ago. That said, I recognize the imbalance in some armies and rules (battle brothers!) has made it a hard game to play competitively. I hope that the 7th edition will keep the best of 6th and improve it by putting limits on what's gotten out of hand. I have the new rulebook in hand, so I will be updating this article and adding more articles as I pour over the book and determine how to best organize all the changes. Stay tuned! The Force Organization Chart (FOC) that we've used to create our armies is still in 7th Edition, however, it's just one option! If you use the FOC your army will be labeled as "Battle-forged" and you will receive some in-game bonuses for restricting yourself. First, if you take a Combined Arms Detachment (which is the FOC as we know it), you will be able to re-roll your Warlord Trait. This is nice, however, the big bonus comes in the form of a rule called, Objective Secured. With this rule, all Troop units in this detachment can control objectives even if an enemy unit is within range of the objective, unless the enemy unit also has this rule. What this means is that if you play a Combined Armed Detachment, and your opponent is playing an Unbound Army (see below), your opponent will not be able to contest objectives; he will have to wipe you off of them. This is a big bonus to standard Force Org armies! It's important to know that a Combined Arms Detachment is a typical Force Org chart . . . but giving it a specific name (Combined Arms) implies that there will be other Force Org Charts. There are only two detachment force orgs listed in the main rulebook: Combines Arms and Allied (which is the typical allied force org we know). The book states that there WILL be other Battle-forged Detachment charts in upcoming codexes and other publications. Also listed in the Combined Arms Detachment chart is a new box called Lord of War. Yes, we've seen this in Escalation, and it is now 100% official in Warhammer 40k. Before we hyperventilate (and we haven't even discussed Unbound Armies yet! ), I want to point to a very specific line in the new rule book: "Before any game, players must agree how they are going to select their armies, and if any restrictions apply to the number and type of models they can use." The bold letters are their own! The game is really emphasizing that players need to agree to what kinds of games they want to play together. If you are a tournament player, then the tournament organizer is going to take on this role and clearly state what restrictions will apply. The other choice is called "Unbound". Basically, you bring any models you want, limited only by the unit restrictions in your codex and the allies matrix. To me, Unbound-ed armies feel like mini-Apocalypse armies... bring what you want! The book is clear that some players may choose a Battle-forged army and another can bring an Unbound army. Both players must agree to any restrictions, though! Another big change coming to 7th Edition 40k is the introduction of Tactical Objectives. On top of the 6 Eternal War missions we've grown accustomed to, there will be 6 new Maelstrom of War missions that make use of Tactical Objectives. A new set of 36 Tactical Objective cards will be used in Maelstrom of War missions. You will draw a hand of cards from the deck and use these to craft your strategy. You'll be able to discard one tactical objective per turn. So what do they do? Each cards offers special conditions that, if met, will give victory points at the end of your turn. It's important to note that players do not NEED the cards. There is a d66 chart in the rulebook that can also be used to generate objectives. The cards will be quicker, though! For instance, there are cards for killing enemy characters, vehicles, controlling objectives, or casting psychic powers. Complete the objective, play the card, and claim your victory points! In most of the Maelstrom of War missions, your hand of Tactical Objectives is not a secret. Both players generate objectives and share that information. However, in one of the missions, Cloak and Shadows, the tactical objectives ARE secret. I think this will be the more fun out of all the scenarios. Each Maelstrom of War mission used 6 objectives markers labeled 1-6. Half of the Tactical Objective cards have a player capturing one of these objectives, with the other half of the cars having special missions like killing vehicles, etc. Every Maelstrom of War mission gives player a different number of tactical objectives. Some missions, each player starts with only 1 tactical objective and gain a new one every turn, while another mission is the opposite; players start Turn 1 with 7 tactical objectives and must discard one every turn! 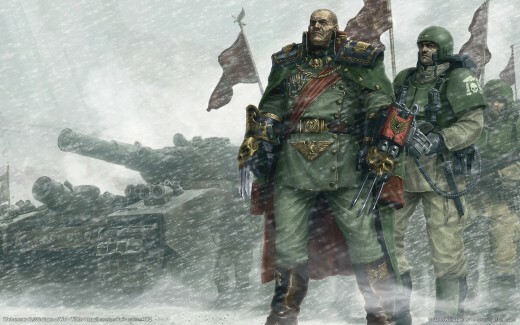 Here are some tidbits of rule changes scattered throughout 7th Edition 40k! Flying Monstrous Creatures only take a single Grounding test at the end of the Shooting Phase if they are wounded. Extra wounds caused in a challenge roll over to the enemy unit! Vehicles only Explode on a roll of a 7+ on the new damage chart. Difficult Terrain is only -2 to your Charge distance. You may take Cover Saves and Invulnerable Saves versus Destroyer weapons, unless the roll on the effect chart was a 6. Shooting from a unit is now done by weapon type, one at a time. 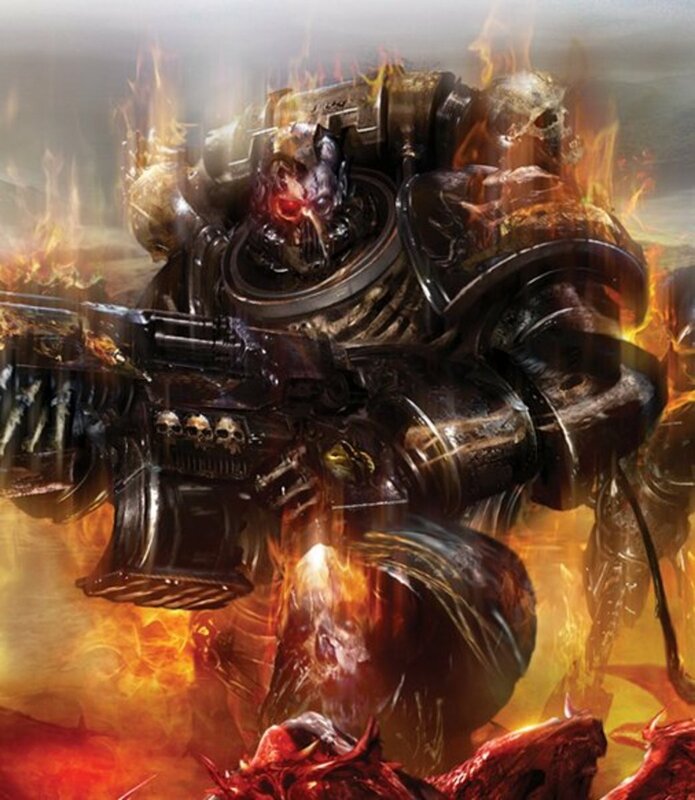 The example is wounds and saves are made from a flamer first, and then shots, wounds, and saves from bolters. Last in the latest set of big news: the Psychic Phase! It could be argued that the current set of psychic powers are part of the problem of 6th edition. If you start combining the right battle-brother units and then buff them with psychic powers, you can create some nearly unstoppable units. The problem is that your opponent can't stop this. If you are casting blessings on yourself, all you have to do is pass a Leadership test (usually LD 10) and you get your wish. Not any more! Anyone familiar with Warhammer Fantasy will know about the battle-within-the battle that is the Magic Phase. It looks like this is coming to 40k in a modified version. On your Psychic Phase, you will have a pool of Warp Charge dice that you will use to manifest your powers. The pool will be 1d6 + every level of Psyker you possess. If you have a level 4 and a level 2 psyker, you'd get 1d6 + 6 dice. You can use as many of these dice as you want to manifest your powers, but the more dice you use, the higher chance of suffering a Perils of the Warp, which now has its own deadly chart. Each psychic power in the game has a warp charge cost. A player must roll a number of successful warp dice to manifest a power. Each die roll of a 4+ is a success. So a Warp Charge 2 power requires at least 2 dice rolls of a 4+ taken from your Warp Charge Pool. Remember, you may use as many dice as you like, but if you roll a double-6, you suffer a Perils of the Warp. So here's the kicker. Your opponent is going to get Dispel Dice! That same d6 roll to determine your Warp Charge Pool also gives your opponent dice to dispel your powers! They get to add bonus dice for their own mastery levels. They can dispel your successes on rolls of 6+, with bonuses if you are targeting one of their psykers, have adamantium will, and a few others. This is going to dramatically alter the game. If powers like Prescience can be dispelled, that can really put a hurt on players who are used to peeling that spell off every round! This back-and-forth and uncertainty puts a lot of strategy in the Psychic Phase because both players have limited resources. Do you start with your most important power, hoping your opponent will hold back his dispel dice in fear of more powerful spells? Or do you bait your opponent with smaller spells, hoping that he will waste his dispel dice and be unable to stop the one you want? Also mentioned in White Dwarf is the addition of a new Psychic Discipline: Daemonolgy. There are two branches of this discipline, and every army (except Tyranids) will have access to at least one of the branches. It looks like a defensive branch and an offensive branch that involves summoning daemon models to the battlefield! What new set of rules seems most intriguing? I have the new rulebook so I will be adding more to this article and making sub-articles that have more detail as time allows. Expect several articles to appear during the release week at the end of May 2014. I will link those articles here and above! So check back often, and know that when the full rules are released, I will break them down and see what makes 7th Edition tick. In the meantime, take the poll to the right and leave a comment down below. These are exciting times! Thanks for reading. Murphy out. Most unbound lists wont be a problem because I think most people will only just play with the assorted models they have. However, when people start buying models to create super-lists, then that could be a problem. Local clubs will have to set some kind of limits before people drop hundreds of dollars on models that nobody will want to play against. what the object of the game is right now is to find a battle forged army that can at least hold its own with an average unbound list, then make the most use of its battle forged traits, for me right now I can see very few which can do this effectively, however a Jetbike list with a rerolling autarch trying to get no scatter deep strikes on him to pinpoint drop a few wraithknights beside him, and even use the lords of war slot to make it easier for you. Unbound armies of guard will be nasty. Even going combined arms, they can put a lot of tanks on the field, especially with the tank commander option. There are several old guard players down at the shop, but nobody's pulled them out to play yet :) Thankfully! None of my armies have enough anti-armor firepower... a weakness I realize now! Imperial Guard have had a good bargain on this edition, you can build an army of tanks and with clever positioning you'll never let the enemy hit your rear or even side armour (block line of sight with other tanks or at least obscure it), then add Pask into the list and you've got a nasty gun line. I have two Imperial Knights almost finished being painted. They are actually "done" by any normal standard, but I'm trying to "masterclass" them and I don't want to bring them out unfinished. I am also considering getting an Ork stompa because, as super heavies go, it's cheap enough to play in a normal game. In my Imperial army, I think I'm going to try a small IG force with a baneblade, allied to a knights detachment. This will give me 3 super-heavies at around 1,850 points. Could be a killer list. 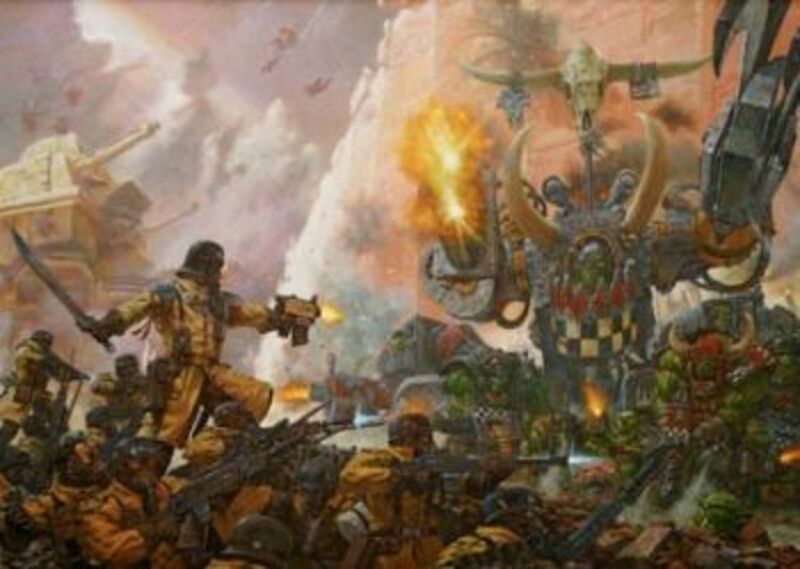 People are overlooking Lords of War I think, we're focussed on the riptide/wriathknight/daemon lists, however when you bring in a Warhound or a Revenant, you can just say "NOPE", implode the nastiest unit on the board (6's to wound on a strength D weapon ignore all saves). However then you get LoW vs LoW lists, which is basically Apocalypse but smaller scale. Imperial Knight's will benefit from 7th ed too, because of their high hull points, AV and the new damage table. Thanks for the read and comments, Lasombra! I think 40k is best played with a local group of people, so there's a smaller chance at people treating each other terribly. Still, there are probably some groups that encourage each other to make the hardest, most competitive lists. That's fine! The point is to have fun, in whatever way that your group enjoys. Murphy80, I think I am in the same boat with you. I used to play in tournaments, but when people started bringing 2+ invulnerable units and armies that were cheesed up it took the fun out of the game. One of the tournaments I went was a 2v2, my buddy and I created 2 space marines balanced list. The people looking at our games even said that we had the most balanced list and we did good, but when we went against a super cheese list we lost terribly. There was nothing we could do. Now I just play fun games and also got into infinity :). Great article btw, I been reading a few other you posted before. Keep it up man! Thanks for the comment, Maarten. My number one rule for playing any game is that all participants should have fun; even the losing player. In fact, the losing player should especially be having fun! 6th edition was a game where I usually had fun, win or lose. I'm not a competitive player in the sense that I do not mind losing to a good opponent, as long as my decisions had an impact on the battle. I have played games where it seemed like no matter what I did, I did not influence my opponents plans, nor slow down his march across the board. Those games are not fun, but thankfully they have been rare. If 7th edition turns into a series of games like THAT, then I will have to find another gamer. If players cheese out the rules to make the most wonky lists that encourage steamrolling the opponent, then I'll find another game. I could see this happening, but amongst my club members, I don't think it will be an issue. First, most of us play with armies that they've had for years, with the occasional new unit thrown in. Nobody is spending hundreds of dollars to max out the best units in the game. If we can keep it focused on fun, then 7th ed will be a winner with our group. Very annoying. Now I have to spend another 50+ euro's? What about 6th rules? Was that a bad, not well tested product that GW sold us? 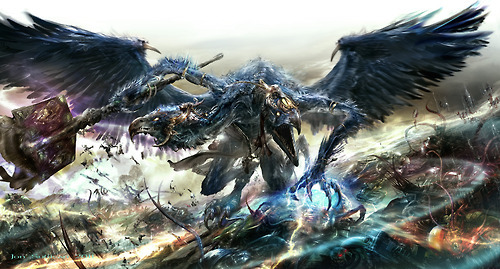 And another thing IF I wanted to play with wizards and magic I would play WarHammer. In essence 40k is a simple game beefed up by some modifiers. Fine. Now it is to my opinion a game for losers. The best selling SM always has a reroll. I want the old days, handle your troops well against the weakness of your opponent and have a lot of fun. Now it is a very childish game. Dakonte, that is a very restrictive modification, but I appreciate what it does to the game. 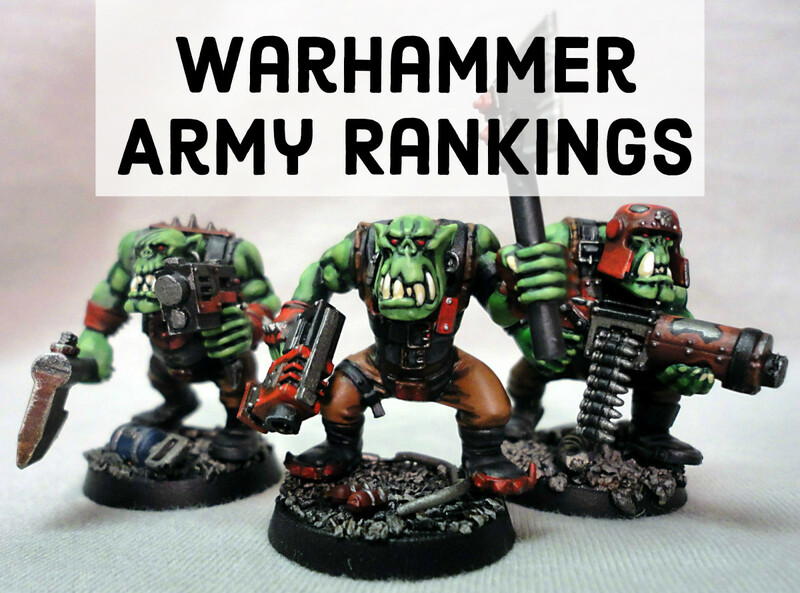 I rarely use repeats of the same unit in any category other than Troops, mostly because I get bored painting the same model over and over :) It does severely limit what people can buy, but it also limits what people have options for modeling and painting. Still, for a competitive environment, it would be a good way to keep armies balanced. A great way to make a list will be not allowing two repeat units with the same name. Not aplying this to the basic troops and transports. I'm using this fairplay wh40k and it works great, there isn't any Spam. 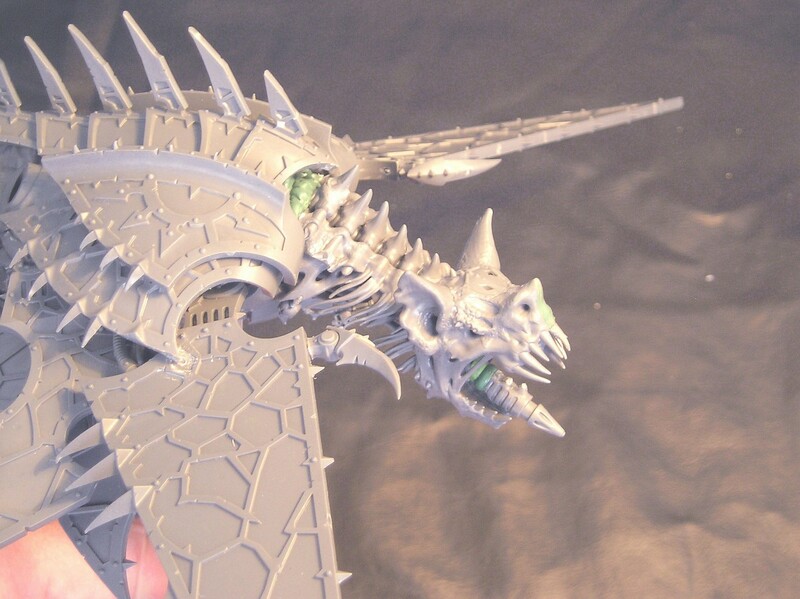 GW will never allow something like this because it wouldn't be capable of selling his expenaive miniatures. With Unbound armies, spamming anything is going to be ridiculous. Some spam armies will be overpowered, while others will be fun, but ineffective. I like Joey C. comments, that even a riptide/wraithknight army would be fun to play against... once! I think this in in the spirit of Unbound, where both players want to try new things. I could not imagine a player buying 8 wraithknights, just to try, but what if a club with a few Eldar players combined their wraithknights into one super-army? It would be just for fun! Also, with Battle-forged Jetbike armies... agreed with SEG, those last turn Jetbikes are not only going to contest objectives away from an opponent, they will actually now own those objectives! An Eldar player can go from 0 objectives to ALL of them on the last turn if the opponent is not careful. You also have to look at the new Maelstrom of War missions, with Tactical Objectives. Tactical Objectives are earned through the rounds, rather on the last turn like Eternal War missions. Thus, players will not often be able to wait until the end of the game to dive on objectives and win! More information on that coming soon . . I have the 7th Ed books in hand! People worried about riptide spam for unbound are not looking at the bigger picture. I'd be more scared of stealth suit or sniper drone spam. Even silly things like 1500 points of pure scarabs would be kinda scary if you didn't have templates to deal with the sheer number of wounds. You think 6th is the best edition? That's just plain crazy. As regards to riptide/wraithknight spammed armies, I think it would be interesting to play against/with once, I think with most games it's nice to try all different set ups. And have both players aware of this before the match starts. Eldar are actually only getting better from Unbound. They can effectively win games against them too, a jetbike list will not only last turn contest objectives, but in fact last turn secure them, so hold out long enough then rush the objectives. Or you could field Wraithknights and Wave Serpents and not give a crap. I think games will be played using FOC. Just agree with your opponent that game will be played using FOC. Maybe the best way of going with competitive play. Fun games are a different story. Conners, I agree that these kinds of games wont be fun if people choose to spam very tough units. I don't think that this is the purpose of Unbound. I think the purpose is for people to play with all the cool models they have, rather than buy a bunch of the same model to field it over and over again. Of course, people will abuse this. However, if someone showed up with 7 wraithknights, opponents can always refuse to play. If a local club is aware of the feelings towards this, then a player should not invest that kind of money into a game when he knows his friends wont want to play with him. As far as random games with strangers, expect strangers to decline games versus crazy lists. Not sure I like the "Unbound" thing.. and I play eldar.. we have 7 HS choice.. can you imagine an army of Fire Prisms, Wraithknights and Wraithlords? Good grief: You could bring 7 Wraithknights to a 1850 point battle! Don't get me wrong people ALWAYS used to play friendly without force org restrictions... but to make it "official" seems, well, a massive backwards step towards making points costs themselves - well - irrelevant.. ... The way they had it "before" was ok but probabl too easy t break... (I think allies kind of broke it a bit (Deer Council?)) 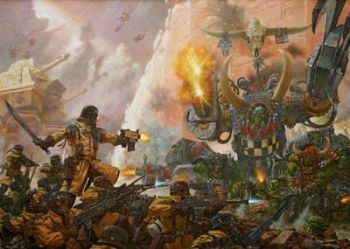 I just think Escalation rules weren't thought through (for example bin Force Org, or make it 2x Force Org for escalation rules no-matter-the-points) but don't make my guardians stand in front of 2 hell-hammers.. True! If every squad counts as a level 1 psyker, then each squad would be adding a die to the pool. With say, 10 squads, they'd be gaining d6 + 10 dice. It's not really a lot of dice if you want to manifest a power for each squad... but it's a lot of Deny the Witch dice! It might be nearly impossibly to use psykers against Grey Knights. Great catch! I'm a little worried how the gk armies will fall On a psychic phase. The cast and dispel dice could be limitless! It's a scary idea. Remember the bold letters in the rule book: Both players must agree to what kind of game they want to play and what restrictions for any models or units.... So the all Riptide player might have a hard time convincing opponents to play him... and after all that money spent! Even as a Tau player, the idea of a table full of Riptides makes cheese radar explode. Yes, if consolidating back into melee is allowed, it will change the game. It wont be automatic, as it will be a dice roll, and players can always try to space their units out. It will come up, though! I'm excited to work with my Daemon army again . . . and the Orks! oh yea, another biggie, consolidation into combat is back, which is really understated. Hey, Tau's do fine, just dump a load of Riptides n the field, that's basically what'l going to happen anyway! I think the Tau will just skip that phase, essentially the same way a Space Marine player would skip it if they did not choose to bring a librarian. At least Tau will get some defensive ability with the pool of Deny the Witch dice! Also, they can always ally with Eldar to bring some psychic aggression! I am curious as to how the Tau will be the aggressor in the psychic phase. You certainly did! More updates are coming out almost daily now. It's going to be a busy two weeks until we see this edition released! Dandy, I think you will get your wish. The preview video on Games Workshop gave some screen shots that hint at this very thing! It would be really cool if they also introduced new force originization charts that gave different buffs. jc, I completely agree with you. Some of the proposed rules look fun, like the psychic phase, but letting people make "legal" armies of 'whatever they want', doesn't seem like it will balance things. However, I think they will make a clear distinction between the Battle-forged armies and the Unbound armies, as in, both players should agree that an Unbound army will be in play, and that if someone has an army composition that seems unfun to play, then to ask them to create a new one that might be more balanced. Gotta say I really dig the psychic phase! But I don't see how adding even more complexity and unknown variables (like the optional FOC) is supposed to balance things. I think it's just going to create more opportunities for people to min/max combos, n'est pas?